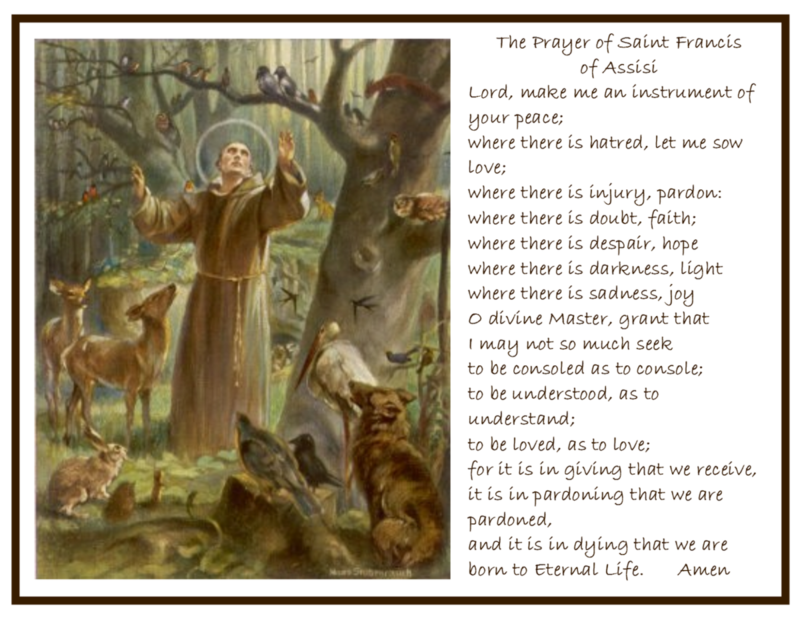 The feast of St Francis of Assisi is celebrated on October 4 worldwide annually to remember the life of St Francis, the Catholic Church’s patron saint of animals and the environment. For two days, starting on October 3, the town of Assisi is illuminated by oil lamps burning consecrated oil brought from a different Italian town each year. Solemn religious services are held in the Basilica of St Francis and in the Basilica of Santa Maria degli Angeli. Children bring their pets to the church to be blessed on St Francis’ feast day because of his love for animals as expressed in his Canticle of Creatures. People may also plan a nature walk and teachers, caregivers or parents may spend time helping children write about plants, insects and animals that they see. For many educators, caregivers and animal rights organizations, this day is an opportunity to teach children about endangered or abused animals and what can be done to help save these animals. This feast coincides with World Animal Day.